Welcome! Did you hear the news? 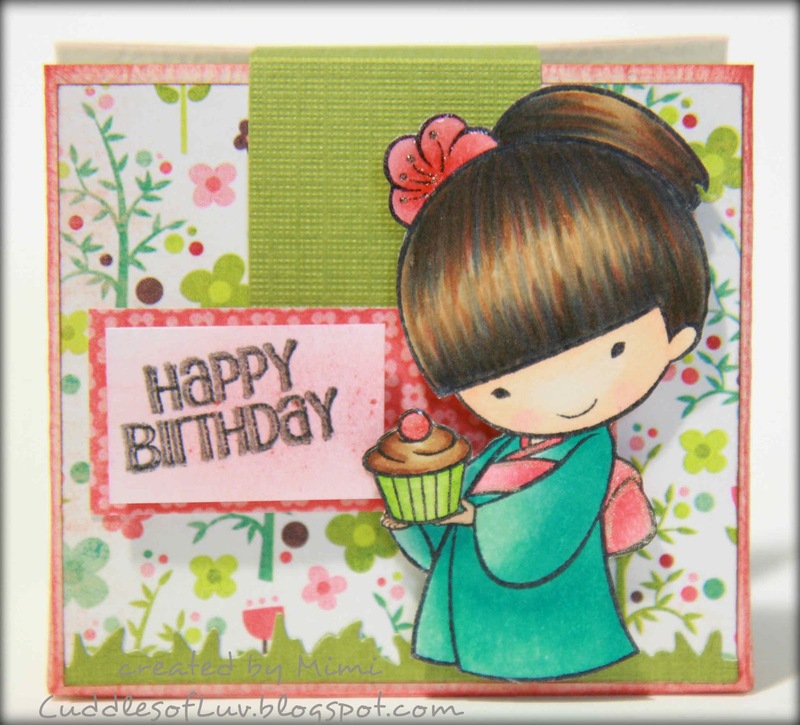 Lollipop Crafts is celebrating 2 years of challenge blogging!!! Wow, doesn't feel like it's been 2 years, but it really has been according to the calendar! Time surely flies by when you're having fun!! We have a special treat for you in honor of our marking. A BLOG HOP!!! yep, filled with lots of surprises! The blog hop runs from today until August 4th. So if you don't have time to check out everyone today, you can come back tomorrow and finish the hop. Plus we have a special guest designer joining us... Barbara , creator of Little Miss Muffet Stamps, and she's an alumni from LC's first DT! If you hopped onto my blog by chance, PLEASE head back to Lollipop Crafts blog and begin your celebrating there. There's so much going on you don't want to miss out on all the fun and surprises. You should have reached my blog from Tammy's blog. Here's what I made for this special CELEBRATION! In addition to our celebration and blog hopping fun, we have a SPECIAL challenge just for this celebration too. Hurry though, this challenge ends on the 4th at Midnight PST as well. The challenge is CELEBRATION!! Any celebration that is, birthday, anniversary, new baby, wedding and more! Link up your celebration creations to InLinkz on the LC blog. Ok, trying to keep it short... so it's time for you to hop along. Your next stop is Sony, she'll have another awesome project to share with you! There's plenty of hidden prizes everywhere along the hop!! and when you're done hopping, make sure to stop by the LC blog again to leave a comment. she is so cute! i love the way you colored her hair! and what an awesome little box! What an adorable treat package. Your coloring is amazing. Cute image, great coloring... Fabby creation. Great JOB! o! o! pick me!! I know!! hahaha!! Super cute card featuring Miyoko! I love how you colored her up and this treat box is adorable and fun!! I love how you create the picture at the bottom! What a beautiful box! Love your coloring and paper choice. My guess is Sister Stamps. Awww so cute Mimi! Love how you colored up her hair! She is stinky cute, and the minibox adorable!!! This little cutie is from Sisters Stamps, LLC. Love the highlighting in your coloring. Love the coloring on the Sisters stamp, love the favor box too! 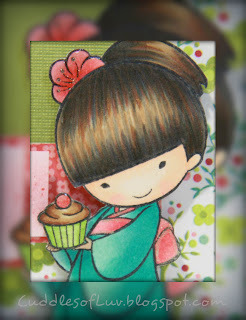 She's cute little Miyoko by Sister Stamps ... love how you highlighted her hair! I love your treat box! Great treat holder!! 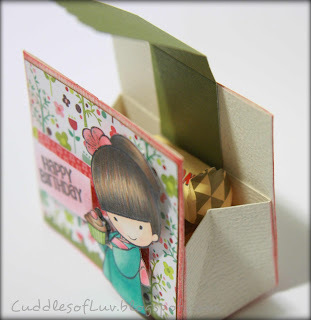 What a darling image...must be from Sister Stamps!! Super sweet treat holder! Great coloring and love the colors! That's lovely and very useful! I think it's Sister stamps. What a fabulous idea! These little sweeties are adorable - thank you for introducing me to Sister Stamps! 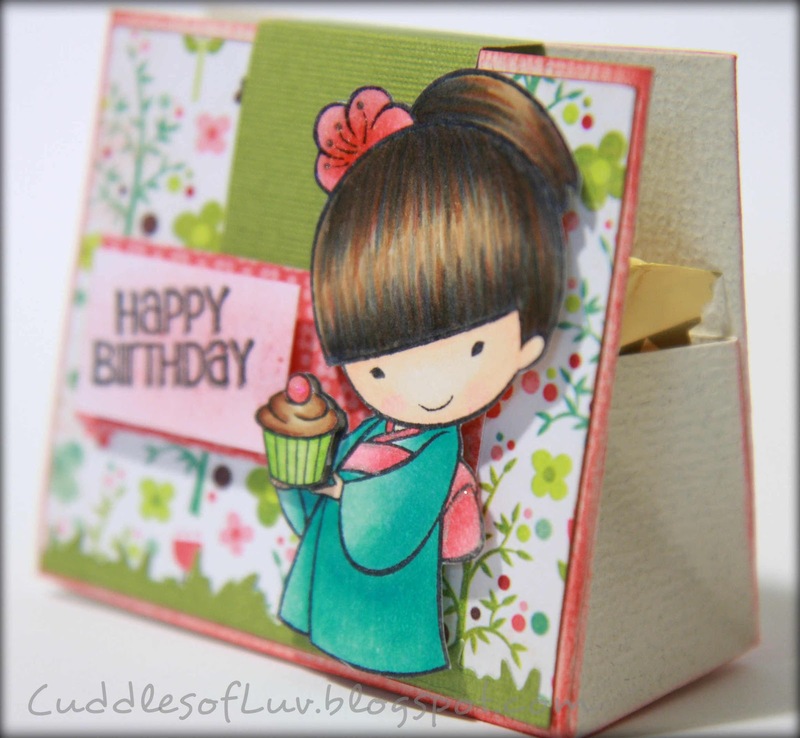 Such a cutie from Sister Stamps. Aw so adorable! This image is from Sister Stamps! What a neat project! The papers and image are so pretty. Love how you colored her. TFS!